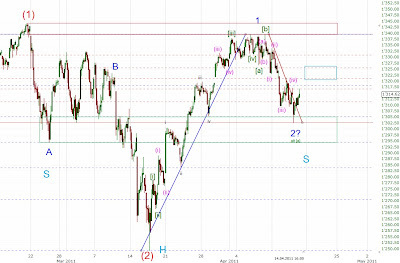 The other possibility is that 1302 only marked the low of wave [a] of 2 (i.e. [b] and [c] of 2 are still to come). If it's only wave [a] then we should see a rally to ~1320-25 and then another sell off down to the 1300 area. 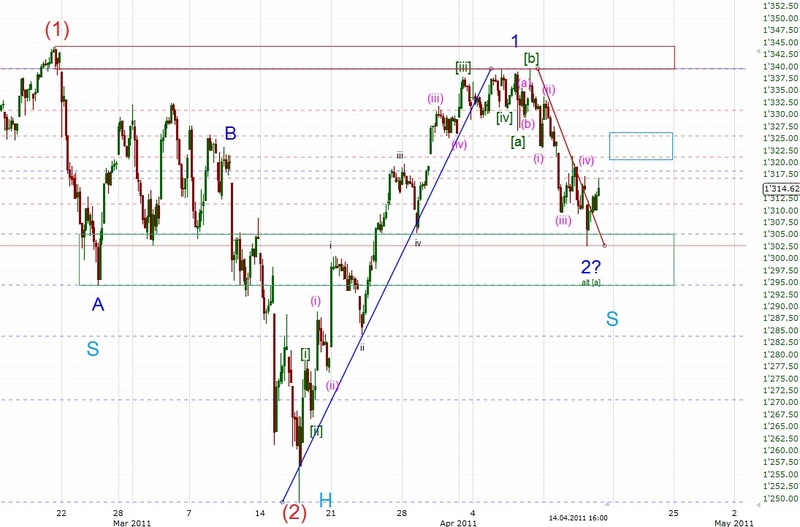 Above 1325 the wave 2 count should be the right one. A rally above 1340ish confirms that wave 3 to 1400+ is underway. The downtrendline posted earlier today was breached by the way. So, a rally into the low 1320's is very likely in my opinion.